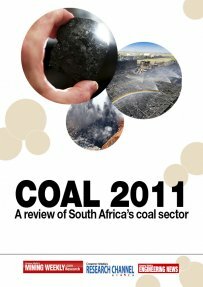 Coal is of critical importance to the South African energy economy. It is the source of 93% of the country’s electricity, 70% of its primary energy and 30% of its petroleum liquid fuels. Local demand for coal is growing, particularly from electricity utility Eskom, which is pursuing a massive capacity expansion programme that includes significant new coal-fired facilities. At the same time, demand for South African coal on the export market is rising, particularly from countries such as India and China, and South African coal-mining companies are benefiting from increased prices for their export coal. This report details activities in South Africa's coal-mining industry and includes production and consumption statistics, as well as an overview of the major participants and selected smaller participants in the industry.